Fit the food processor with the grater attachment and grate the carrots. Set aside with the broccoli. 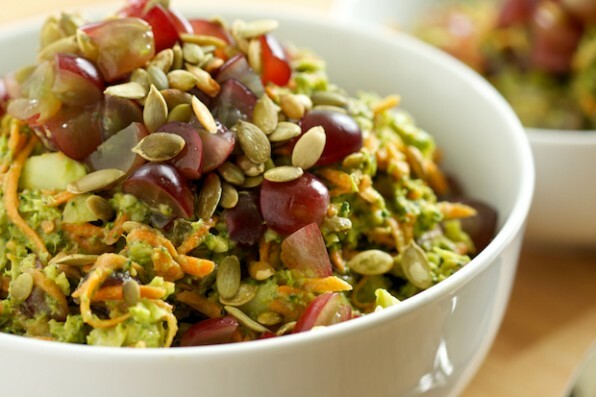 Add the grapes and toasted pumpkin seeds and toss together. Rinse the bowl and place it back on the base with the chopping blade for the dressing. Peel the avocados and remove the pit. Place all ingredients in the food processor and process until mostly smooth. Toss dressing with the salad and serve. Salad can be refrigerated for a few hours.